How long you cook your 6-pound pork shoulder depends on how you cook it and how you intend to use it. A roast prepared to be pulled for barbecue will be cooked longer than a roast that is to be beautifully sliced. Smoking your pork shoulder will also take longer, but give it much more flavor. 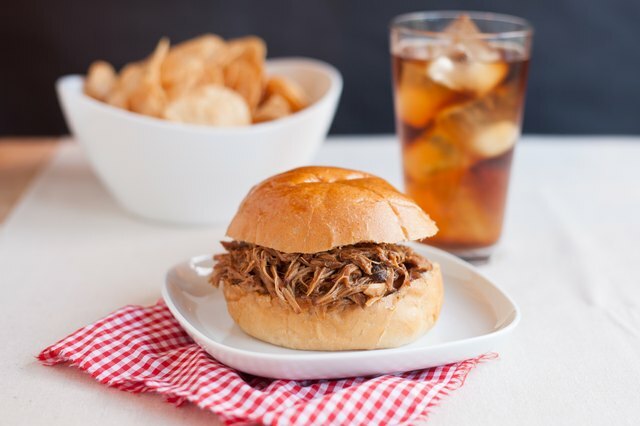 Follow these cooking times and tips for your pork shoulder. Roast your pork shoulder in the oven at 350 degrees F for 30 to 35 minutes per pound for a nice slicing roast. 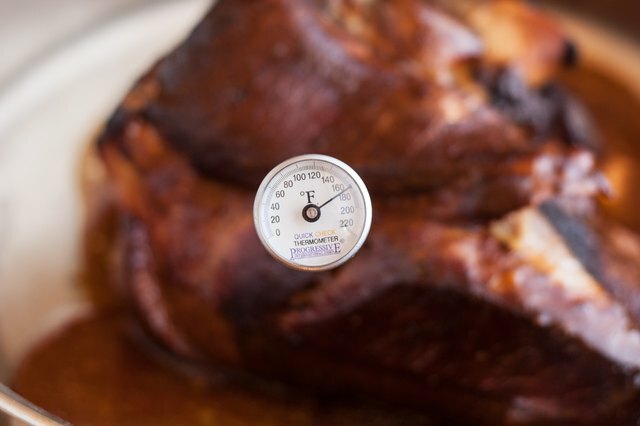 At this temperature, a 6-pound pork shoulder will require 3 to 3 1/2 hours to roast. 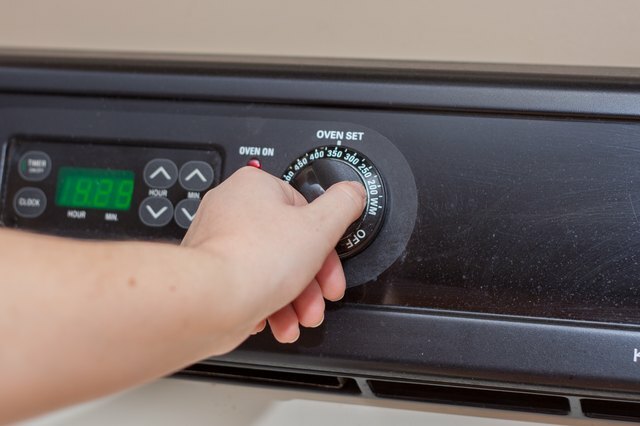 Check for doneness by placing a meat thermometer into the roast at the thickest point. Be careful not to touch the bone. 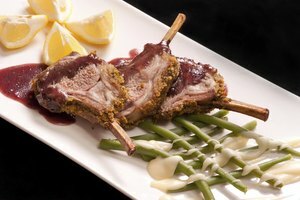 The shoulder is done when the internal temperature reaches 170 degrees. 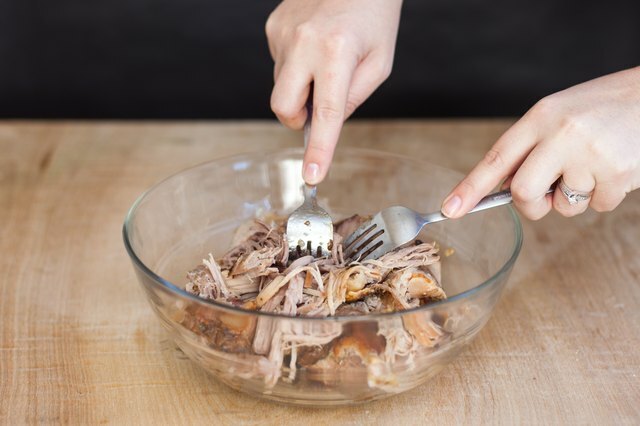 If you plan to use your pork roast to make pulled pork or barbecued pork, a slower roasting for a longer time will yield a tender roast that falls apart when pulled with a fork. Roast a 6-pound pork shoulder at 250 degrees, covered, for nine hours. 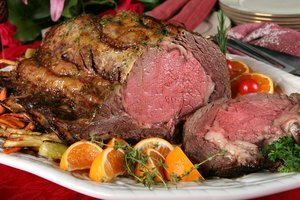 The temperature will have risen to between 180 and 190 degrees and the roast will be fork-tender when done. In the smoker, a 6-pound pork shoulder roast will require between 6 and 9 hours, depending on how tender you want your meat. Keep the smoker temperature between 225 and 250 degrees F. The shoulder is done in approximately 6 hours, when the temperature reaches 170 degrees. If you plan to pull the pork, continue cooking until the temperature reaches approximately 190 degrees, approximately 9 hours total smoking time.